Feel like this might be a good idea, get some progress screenshots going. Im at the stage where I have some basic movement and shooting sorted. Looking forward to seeing what other people are doing. Just a mockup atm, colors will definitely change! Using my own web-based IDE to create the game. 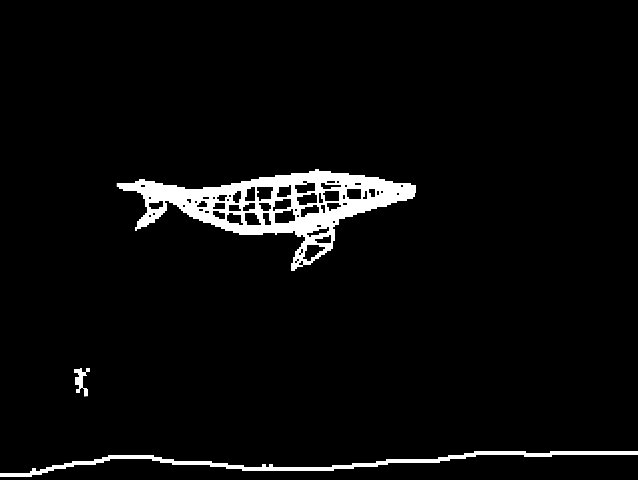 Started working on that in September, very much alpha stage, and this game will be a kind of soft-run of that. Also, a first for me will be using SVG graphics. 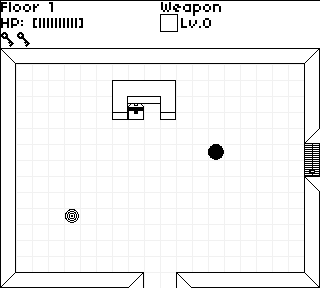 After wrestling once more with Godot's cryptic internal logic, I've finally been able to implement room transition. That looks great! How you doing the level layouts? I use Tiled to make the layouts, and then recreate them within Godot. I'm going for a vector look. Though it's not a real vector game. I have no idea how to do that. I'm using Stencyl. Having fun with TIC-80 and the Commodore VIC-20 palette. 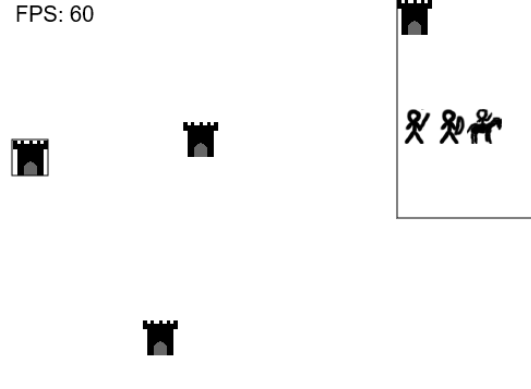 Still working on the player and enemy graphics, but mechanics are quickly taking shape. 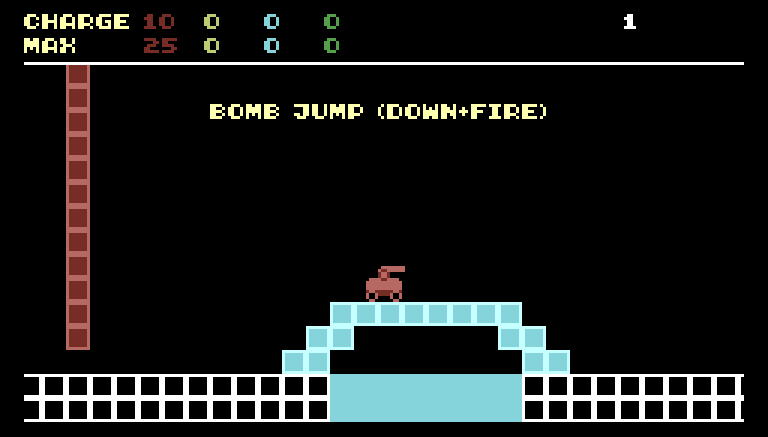 Progress so far on a "floor is lava" game - I have basic physics and player animation working. Next up I need to add more debris variation and spawn additional platforms as the player progresses. At the end there, looks like he's been at the Christmas wine! Some Basic mechanics (Kinda took from Ness in SSB :P), level art and I did get around to making a title screen. Nice! Loving the art style. 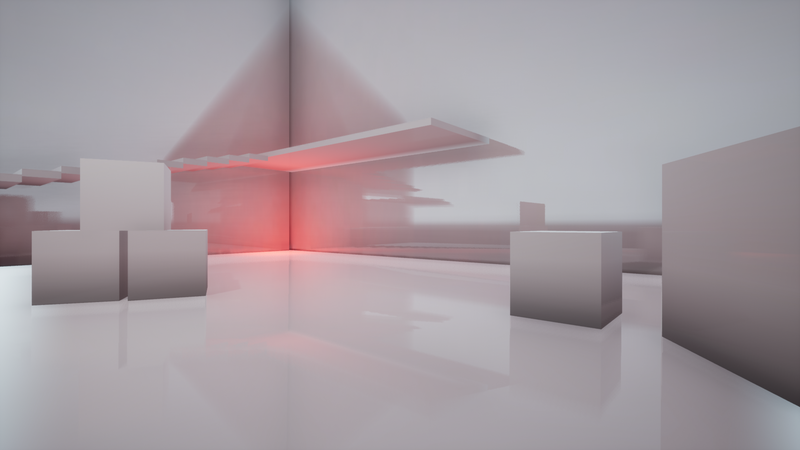 A screenshot from my minimal first-person puzzle game. Been a bit hectic recently what with Christmas and having to go visit fams and stuff. But I got some movement in on my people. 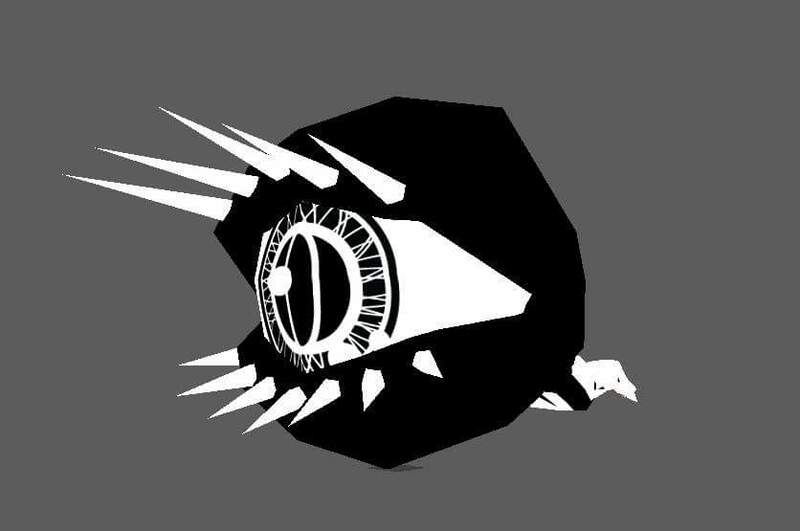 Trying to come up with a name, and will need to fine polish a few things, like how much will be in the camera, how frequent enemies spawn and so on. I'm happy with how things are shaping up. There's still quite a bit of polishing to be done (especially the character animations) but the result so far is at least playable. Today I spent some time trying to dial in the difficulty scaling and added a drum beat soundtrack that speeds up as the player progresses. Movement is very hard to predict for higher shape counts. This will be a guess & retry kind of game! When I created the shapes I had planned to align the outline with the chessboard pattern that is created when shapes merge. But then I changed the spacing of the chessboard, so that this makes no longer sense. I will convert the shapes to vector graphics ... but maybe not for the first release. A small rogue like I guess. When you enter a new screen, you choose the type of content that's about to be generated. 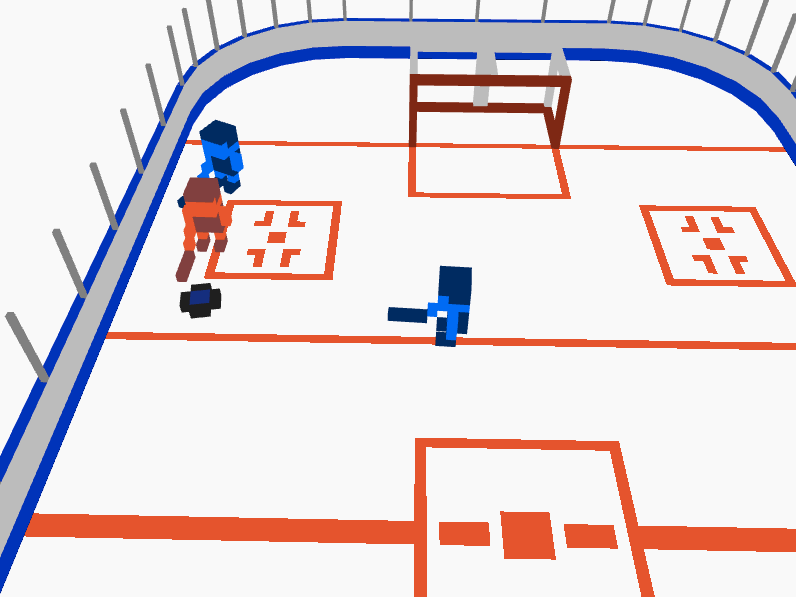 Build a hybrid air hockey + table/rod hockey outta Cerberus X (HTML5 target), voxels and Box2D. 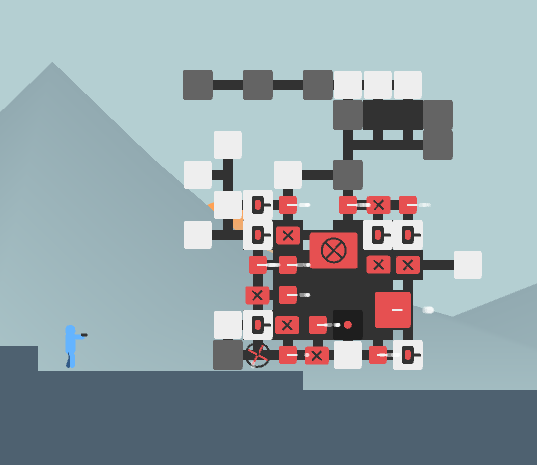 Still tweaking colors, AI, etc but this was a ton of fun to build and play, can't wait til the final version is up. Minimalistic jam was perfect fun over the holidays, and great way to start 2018!